With his unique skill set and years of experience, Mr. Schlatter helps his clients navigate the complex worlds of oil and gas law, bank regulation, and real estate law. Jon has been involved in permitting numerous secondary and tertiary recovery projects, including the State’s first underground pad drilling project. He has successfully defended penalty orders, and obtained special permissions and exceptions from Commission regulations, including UIC applications, well location exceptions, and special allowables. Jon has also been involved in many acquisition transactions, ranging in size from partial leasehold interests to million plus dollar transaction involving entire companies and multi-thousand acre prospects. He is proficient in preparing and negotiating unit agreements, joint operating agreements, oil and gas leases, saltwater disposal leases and surface use agreements. He has been involved in multiple lease termination cases, terms mineral and royalty interest cases, lien rights cases, and oil and gas litigation. Before law school, Jon worked as the Associate Examiner for the Office of the Comptroller of the Currency. There the focus of his work was asset quality and loan review, and assessing financial institution liquidity and interest rate risk. He developed expertise in the areas of bank regulation, including consumer laws, the BSA/AML, Graham-Leach-Bliley Act. Jon has completed several Change in Control Applications and Bank Holding Company Applications with the Federal Reserve Bank. He has also been involved in closing several Bank merger and acquisition transactions. Jon handles a wide range of general corporate and business work for clients, entity formation and governance. He has negotiated commercial lease and real estate purchase/sale transactions, and has a great deal of expertise in negotiating fine and lien reduction of code and zoning ordinances. 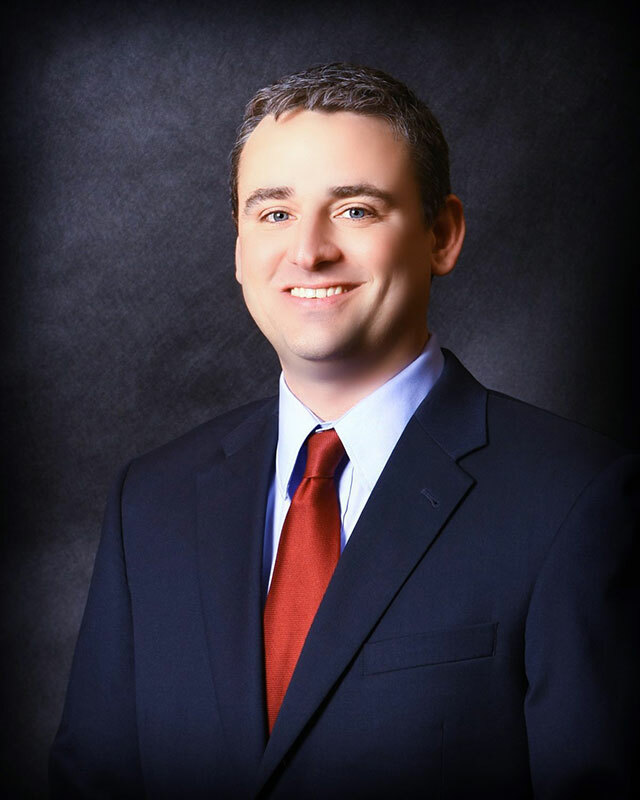 When he’s not practicing law, Jon enjoys spending time with his wife, Ashley, and their two daughters. He enjoys playing with the kids in their immaculately landscaped yard or in the pool, and taking them on adventures all over the place! Jon also enjoys playing golf, attending K-State sporting events, and is an avid Royals fan.